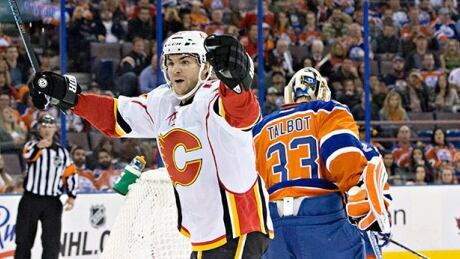 Michael Frolik scored three times, including the winner with 8.7 seconds remaining, as the Calgary Flames snapped a four-game winless skid by defeating the Edmonton Oilers 5-4 on Saturday. Blake Wheeler and Bryan Little each had a goal and an assist, helping the Winnipeg Jets beat the Columbus Blue Jackets 3-2 on Saturday night. Tomas Tatar, Gustav Nyquist and Danny Dekeyser each had a goal and an assist Saturday as the Detroit Red Wing went into Ottawa and beat the Senators 5-3. 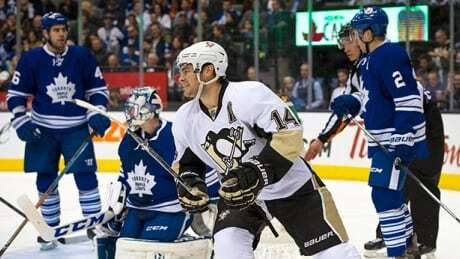 Marc-Andre Fleury recorded his 40th career shutout as the Pittsburgh Penguins handily defeated the Toronto Maple Leafs 4-0 Saturday night in Phil Kessel's return to the Air Canada Centre. 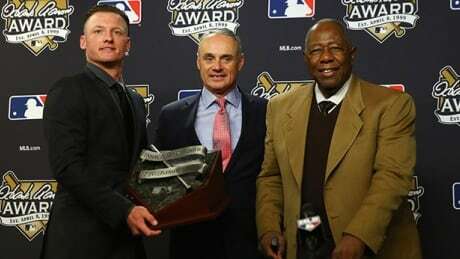 Josh Donaldson is the American League's winner of the 2015 Hank Aaron award. (Reuters) - Former rugby league international Jarryd Hayne has suffered a setback in his fledgling National Football League career after the Australian was waived by the San Francisco 49ers. Nicknamed the 'Hayne Plane', he struggled to make an impression in his six games and was let go to make room for Kendall Gaskins, who was promoted from the practice squad. Hayne gave up a lucrative career in Australia's National Rugby League to try his hand at American football and earned a spot on San Francisco's opening day roster after an impressive training camp. 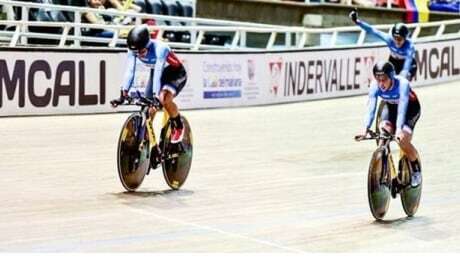 Canada won gold in the women's team pursuit event at the UCI Track World Cup and also secured the white jersey as the UCI World Cup leaders in Cali, Colombia on Saturday. China's Fan Yilin, Russia's Viktoria Komova and Daria Spiridonova and Madison Kocian of the U.S. made history on Saturday at the world gymnastics championships, tying for gold in the uneven bars when the judges awarded each the same score. You are currently browsing the Sportspool.com Sports News blog archives for October, 2015.